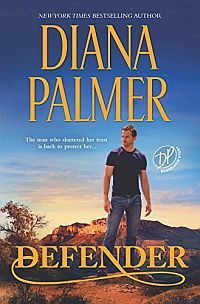 A fan-favorite contemporary romance from New York Times bestselling author Diana Palmer..
A mom for all calamities…that was what Faulkner Scott’s young son wanted. The motherless twelve-year-old was determined to appoint Shelly Astor his new mom after she saved his life. Then she met his dad! Who was going to save Shelly’s heart from a new accident waiting to happen—like falling in love with the boy’s gorgeous father? Originally published April 1993 within To Mother with Love ’93 anthology (with Debbie Macomber & Judith Duncan) by Silhouette and May 2005 within Motherhood anthology (with Candace Camp & Elizabeth Bevarly) by HQN in mass market paperback.